Small and compact – this homogenizer is specially designed for low-throughput laboratory workflows and personal use. Homogenize three sample simultaneously. Solidly and ergonomically designed, the bead-homogenizer ensures easy-handing and safe operations and maximal durability in time. 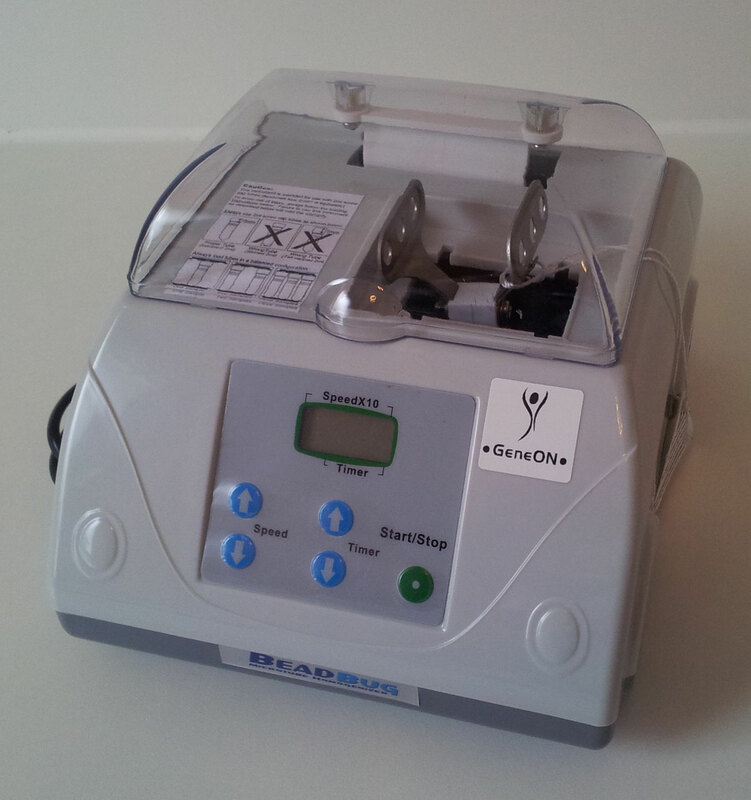 The bead-homogenizer is a high energy benchtop homogenizer that sets the performance standard for personal sized cell disruption and lysis instruments. Developed for samples too tough to be homogenized in a common lab vortexer, the homogenizer provides a convenient and economical alternative to the traditional, over-priced homogenizers on the market today. With up to three tube capacity and a foot print of just 20x23 cm, the Lab-homogenzier is the ideal homogenizing instrument for low to medium throughput laboratories. Timer:3 sec. to 3 min.